Original source: The Wall Street Journal. 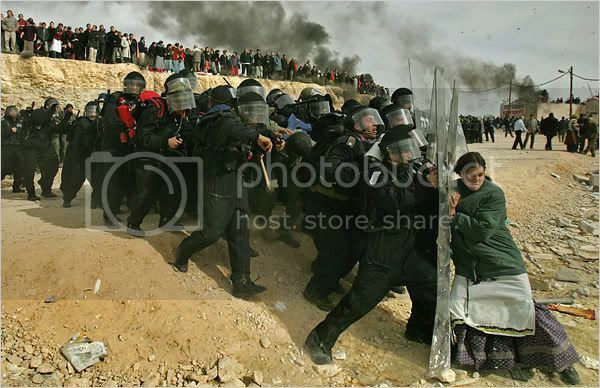 The photograph is of a Jewish settler woman on the West Bank being forcibly removed by IDF troops. View larger.